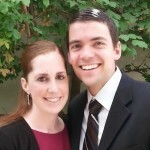 David & Melissa Hunsaker. David has been a marriage advocate for about ten years. He graduated from Brigham Young University with a Bachelor of Arts in political science, as well as a Master of Public Administration. He served as the president of BYU’s Stand for the Family Club and has participated as a volunteer for Celebration of Marriage Utah. He is currently studying for his doctorate in organizational behavior at the University of Utah. He and his wife Melissa co-wrote “Help Me Stand.” They have three beautiful children and live in Salt Lake City. Jake Hunsaker has performed for millions of people as a member of BYU Vocal Point. In 2011 he was recognized as the Outstanding Soloist at the regional, national, and international levels of the International Championship of Collegiate Acapella. He also participated as a contestant on NBC’s The Sing-Off, and has shared the stage with international stars like Sara Bareilles and Nick Lachey. He and his wife Sanita live in Provo.